The days of BBQ or grilling are here and if you haven’t discovered the magical BBQ tool you need to search it out NOW! 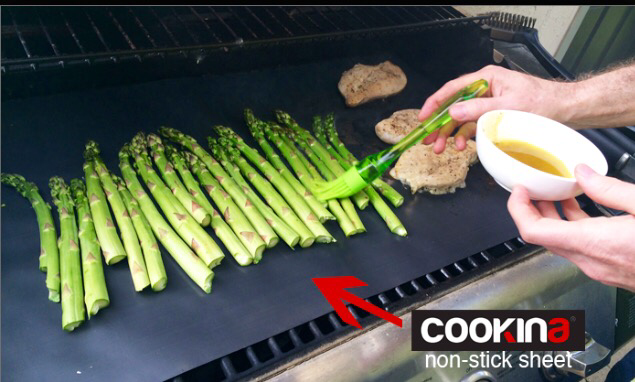 The Cookina BBQ reusable grilling sheet will change the way you feel about BBQing forever. 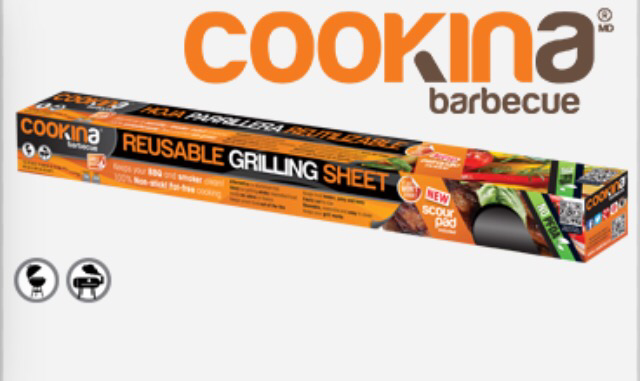 Even if your a BBQ purist you can’t deny the fact that this sheet allows you to keep all of the perfect things that you love about BBQ- grill marks? YES. Stop all of the little pieces of food from falling through the grill ? YES. capture all of the sauce, fat or marinades from flaming up as it falls through to the flame ? YES Cook eggs, bacon, chicken with skin and no fall through or flame up? Yes! 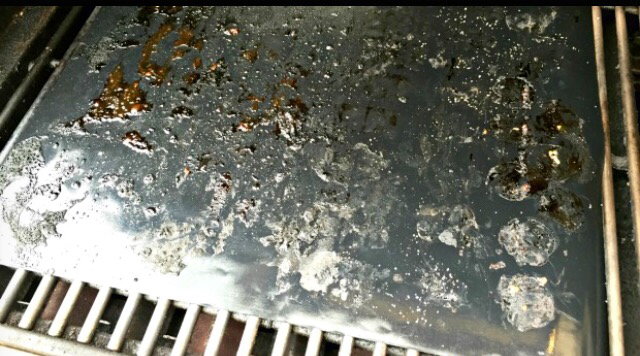 Your clean up will virtually be minimized to wiping down the peripheral splatter around the outside of your BBQ. Yes, your grills will be clean and you can enjoy BBQ without the nasty and time consuming clean up. If you have a BBQ Master in your house then this is a perfect gift and a must have for your BBQ. I truly love my Cookina! Is it safe? I can’t speak professionally to this question other than say that I can’t find any compelling research saying anything other than it is. Silicone is a synthetic rubber which contains bonded silicon – a natural element, abundant in sand and rock – and oxygen. Although I still prefer stainless cookware, silicone kitchen products seem to be everywhere these days. You can now get cheery, brightly colored cake pans, muffin tins, colanders, potholders, baking mats, ice cube trays, pastry brushes, spoons, cake pans, and even roasting pans made out of silicone. Sales of these products have mushroomed into the millions. The advantages of silicone include heat resistance, flexibility, the fact that it can go directly from the oven or microwave into the refrigerator or freezer and that it is generally easy to clean. Silicone containers are also environmentally friendly; the snap-on lids can eliminate the need for plastic wrap or aluminum foil. Silicone appears to be safe. It is an inert material – nothing used in its manufacture will leach into foods. So far, no safety problems have been reported, but if you’re concerned, stick to silicone kitchen tools (such as spatulas) and avoid bakeware. The opinions are my own and I in no way have been compensated by anyone nor has the Cookina company approved or edited my review.